Come join us on the 23rd! 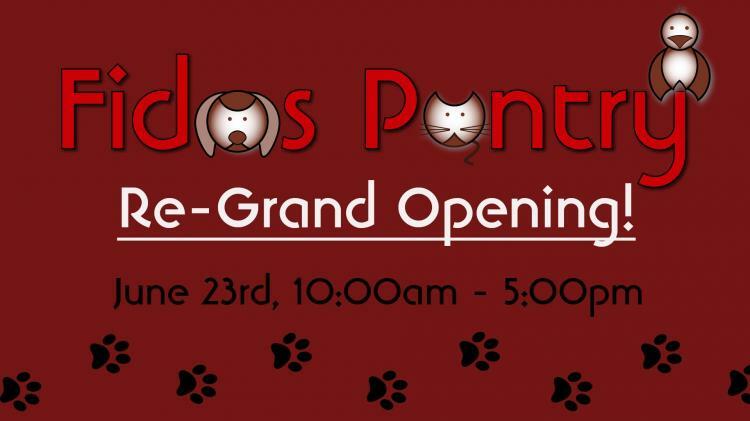 We would love to see all of our furry friends and their humans stop in for your chance to win amazing prizes, take advantage of great promotions and get a pet picture taken! We are so excited for this fun filled day! Come Celebrate the finishing of our remodel at our Re-Grand Opening! -Bring your pet along for Free Pet Pictures! -Come say hi to our friends at Finley’s Barkery and try some yummy sample treats! -Win Amazon prizes from NutriSource Pet Foods, Raw Bistro Pet Fare, Stella & Chewy's, Fromm Family Foods, Pure + Good, Zignature, Natural Balance Pet Foods, Ooh La La, Myra Wang Certified Massage and more to be announced! -Spend $25.00 or more and get a free gift bag (valued at $25)!